he, a fisher whose garb is a blue boiler suit and beret, is commercial and an intellect and, a Bon Viveur and with an impeccable cellar (the La Lagune 1982 was delicious at dinner….it needs drinking he insisted, so we did), and so much more. Mine is always the pleasure, for our conversation is always wide and flowing. 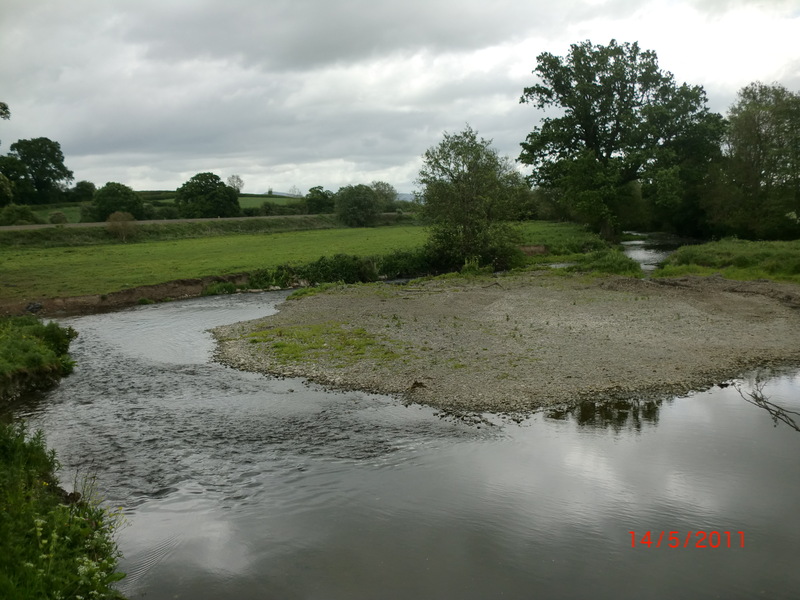 You will know that I am indebted to him for capturing Herefordshire in 2010, and in preparing for another attempt at Salop, he must be excited, and I hereby reveal his pledge by letter to me, to “fish twice as much this year as last”…Good Man! It is mid May, and perfidious Albion has been bereft of rain. Until last week, that is, when the West Midlands was blessed with three inches of it. This is not enough though. Some crops are developing earlier than they should in the unusual heat, and most will be well down in quantity or volume, and prices will increase. The madness that is supermarket promotional strategy should contain prices in store, though, to an extent. 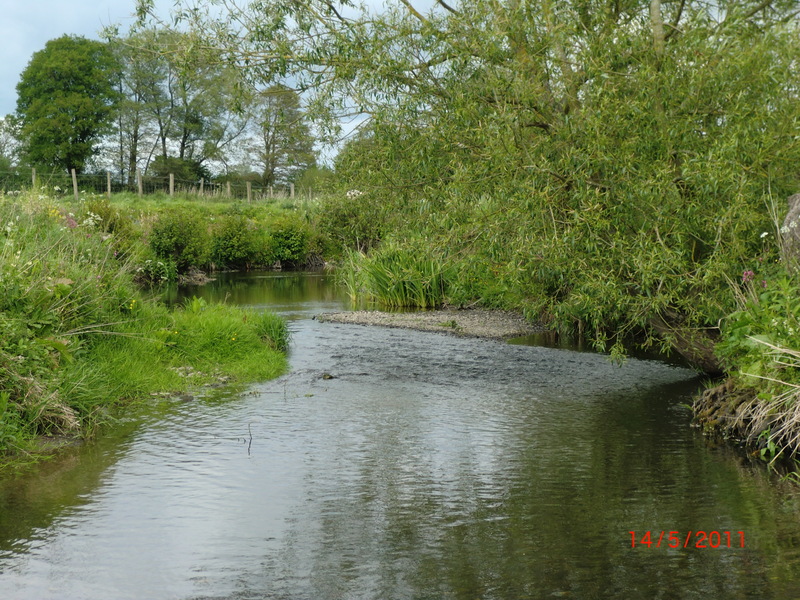 The rain made me concerned for our fishing this weekend, but a sighting of the first stream en route to Shropshire suggested a tinge of colour, but nothing to worry about…but water levels were depressingly low. This rain merely dampened the soil and no benefits have been derived. We must have more soon. A picnic lunch of smoked salmon sandwich, prosciutto slices and Mareka’s most delicious puff pastry tart of cherry tomatoes and asparagus washed down with NZ Sauvignon Blanc calmed the morning nerves, whilst excitement grew, watching a couple small fish slurping (maybe that was me!) medium olives. “You can go up a long way…beyond where the river bifurcates”, he advised….I love words! 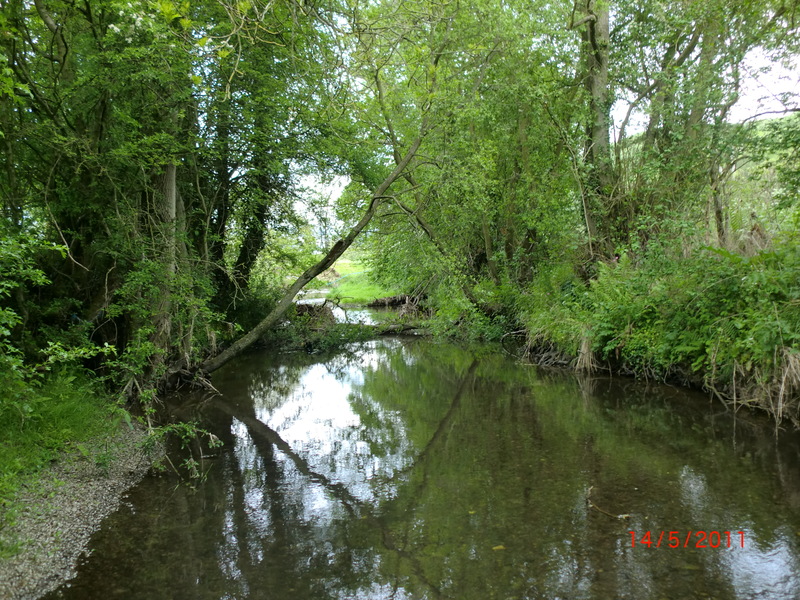 The wooded meters were shallow and whilst there may have been some fish lurking there, the odd, speculative cast of an Adams delivered nothing. I clambered over a fallen branch and spooked two small chaps and knew there was life, though. where fast waters rushed over gravelly shallows. 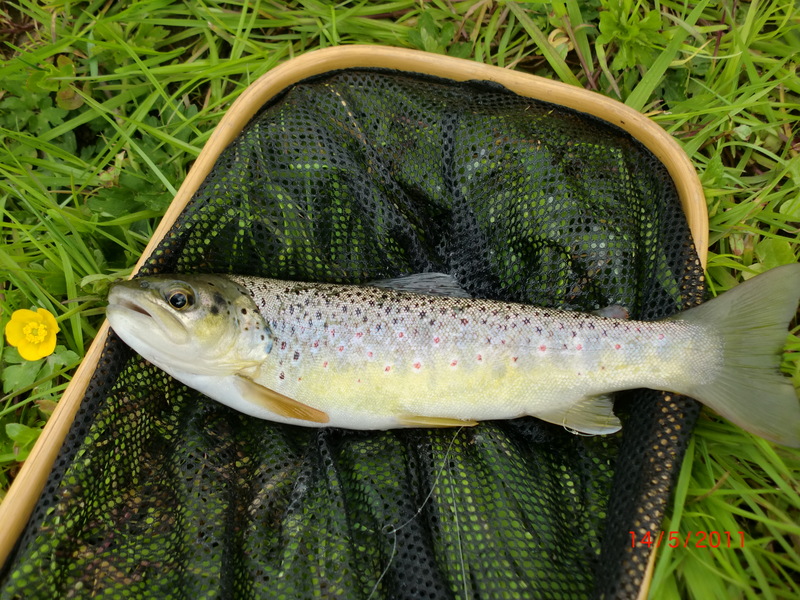 In the sunshine, some duns were being eagerly snatched by at least two fish, and switching to a full white hackled ‘something’ which was as close as I could imitate what I saw….my Shropshire fish was taken ( ¾ lbs) as was another. I fished upwards in serenity, the pressure off, and cast beautifully through the winds, to fish rising in the warm air, and caught another five on elk hair caddis. were delivering a steady stream of duns to these greedy chaps. Then, it rained…and it did, in spades. But David revealed that the last stocking was done some ten years ago, so my catch of seven fish were wild. 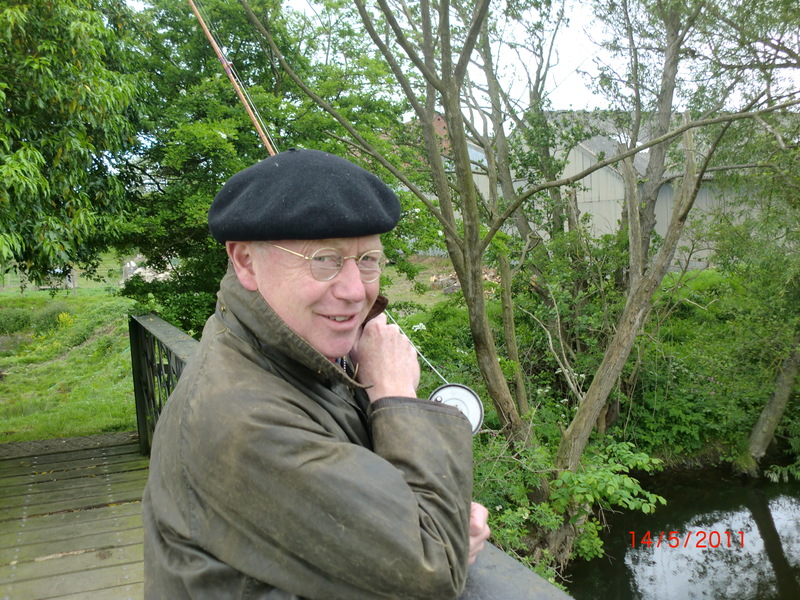 We chatted to a farmer before leaving….he reported seeing otters downstream. This was the second occasion in just a couple of weeks when the otter has featured in bankside discussions. 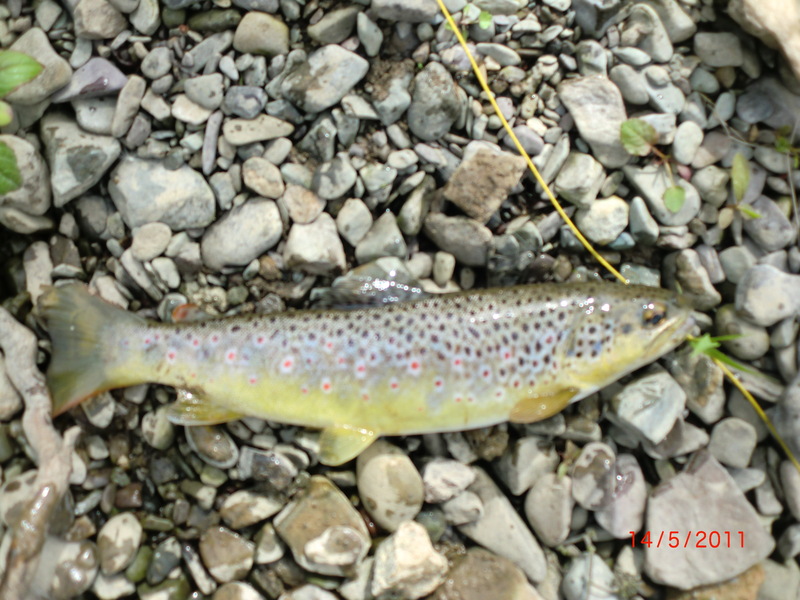 They are indiginous to our streams, but a menace to our stock of wild fish. 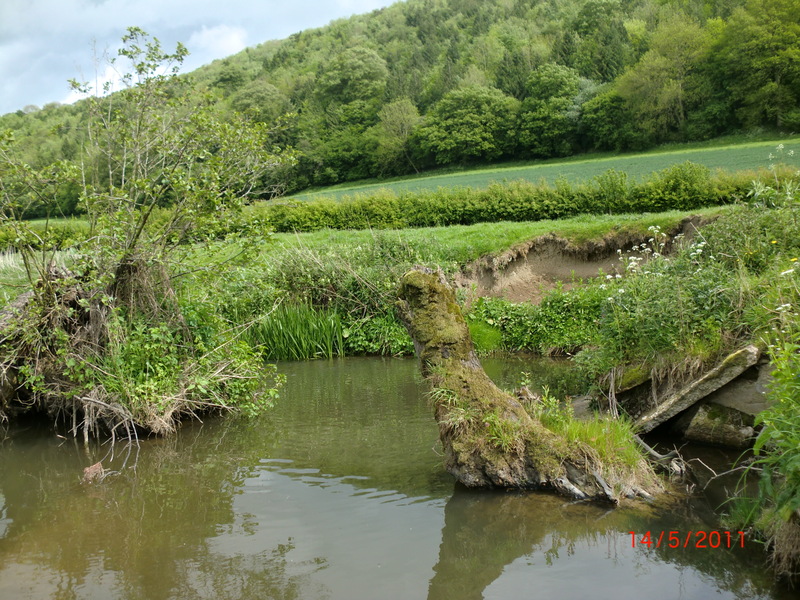 And my ‘mission’ seems to be revealing that wild fish are plentiful in the less accessible and smaller streams, and our heritage in this respect, must be protected.